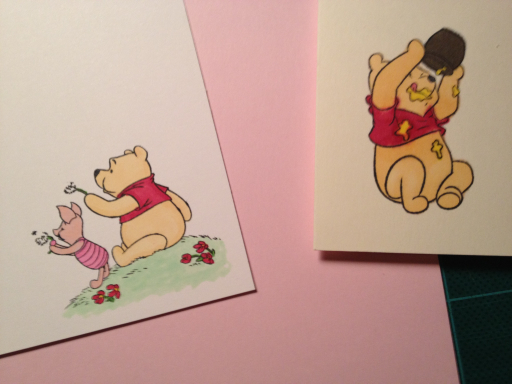 Needed two birthday cards for a couple of siblings, one is 2 and the other 4. 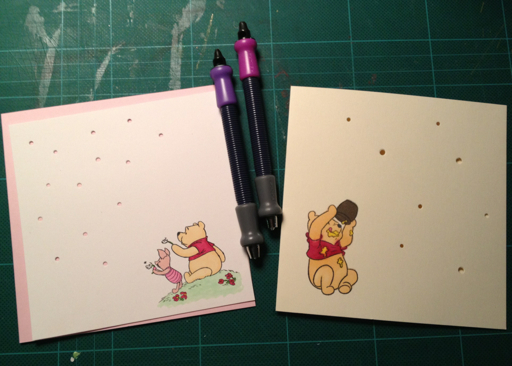 The eldest loves Winnie the Pooh, so I wanted to use those stamps. 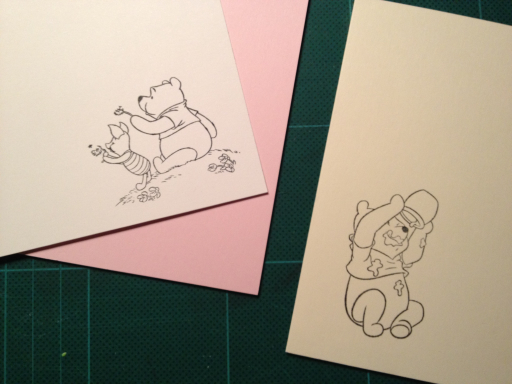 On the white card I stamped directly, but on the pink I made a white panel. Colored the stamps with Promarkers. 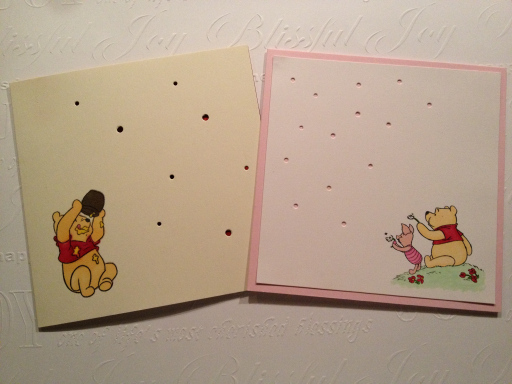 Then I used my eyelet punches to make small holes. 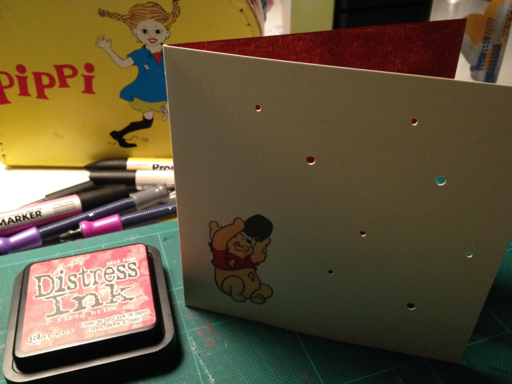 On the white card I colored the inside with Distress ink Fired brick to match the red shirt.